I’ve never gone to a NASCAR race. Until now. 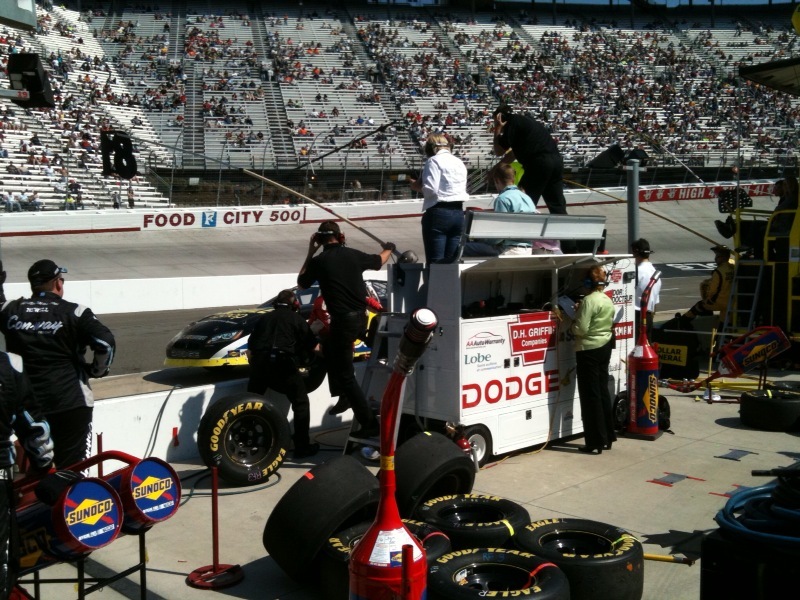 Be Known for Something : Discover Your Church Communication Thread / Business Essentials / I’ve never gone to a NASCAR race. Until now. I’ve often bragged that I’m living in the city that brags the birth of Krispy Kreme donuts, Winston Cigarettes and NASCAR. And jokingly, I add that each one can kill you. Other than the donuts, I’ve never tried the other two. Until this weekend. Well, not the cigarettes, but I had an opportunity that few ever have. My family and I got to go on a Bristol NASCAR adventure. A couple weeks ago, one of the Team owners contacted me at our PCG office. He’d followed me a bit on twitter and wanted some business advice. But what I found from meeting him, was a lot of coincidences! Name: Randy MacDonald and I share the same last name (no relationship I don’t think). Family: We’re both proud of our families. We both have 2 kids, he has girls, I have boys. All are teens. We hit it off well from our first conversation, I stopped into his garage near Charlotte, and met his driver, Michael McDowell, then Randy said words I’d never expect. He invited my family to attend the Bristol race this weekend as his guests. Not up in the stands, but down in the inner field pit area. Wow! What an opportunity! So yesterday we cheered for #81 with the MacDonald Motorsport team in their pit area with about 60,000 spectators yelling all around us. Not that we heard the fans, since the noise of the revving cars easily drowns out everything! It was wild, incredibly loud, exciting and exhilarating. Everything is all about teamwork. MacDonald Motorsport demonstrated it yesterday — each person has a role and everyone seemed to help each other and made things happen. It was a well-greased machine. The Product is key. The driver’s the product of the team. Michael McDowell, has to know who he is, what his key benefits are to the audience, and how he drives competitively. He came in 18th position yesterday in a very competitive field. Cash is everything. 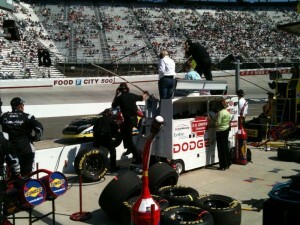 Sponsorship is very important for the teams as well as NASCAR. The team survives based on sponsors. It’s their cash! NASCAR has a huge dynamic audience. It’s the 2nd most popular sport with incredibly loyal fans. They support their driver, and their sponsors. With that national attention, sponsors partner and win with NASCAR. Michael and Randy love their sponsors and step up to sell/promote their products. It’s the right balance of these points (as well as others) that makes NASCAR wildly successful. And MacDonald Motorsports delivers. I loved it and realized why people are race fans. You just might hear more about NASCAR in the future from me. Let’s see, when’s the next race? Look at the bottom of each page — enjoy!